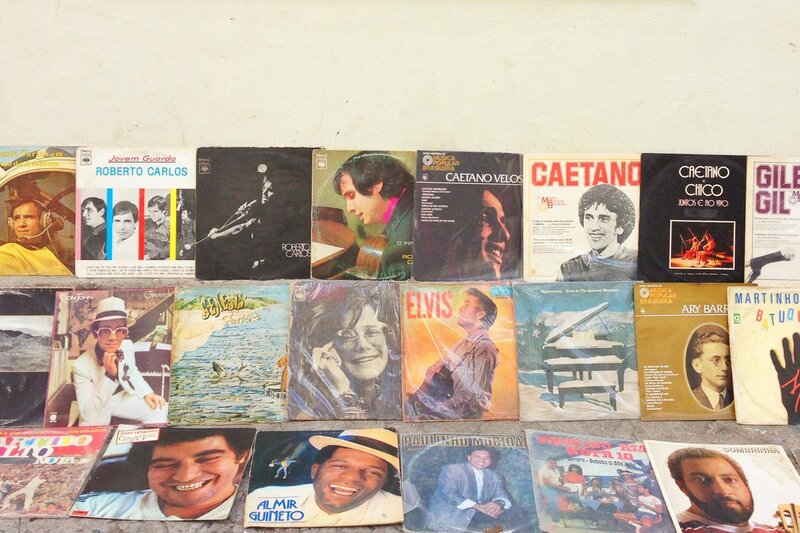 Albums for sale on the street in Santa Teresa, Rio's emerging hilltop neighborhood. Photo by Pavia Rosati. Pavia Rosati just got back from a week in Rio, where she picked up some minimalist Carioca style. RIO DE JANEIRO – Here's a useful tip when packing for Rio. Before you go, open your suitcase and get rid of 3/4 of everything you've packed. If it's formal, expensive, or flashy, leave it home. Cariocas (as the locals call themselves) like it simple, easy, beachy. Seriously: Rio makes L.A. look uptight. Come prepared to bare it all. This isn't a town that likes to cover up. This means you should leave your inhibitions home, too. is the ultimate Carioca brand for men and women — breezy, sporty, and fun. When I was in Rio, I fell hard for their sneakers made with unusual fish skins, but they're no longer available. The ($459.69) for men is very fresh for now. Boogie board in style with ($271) hand-crafted in Brazil from several pieces of beeswax finished wood. The shops may sell ridiculously blingy jewels like ($15,717), but that's a look saved for private house parties. On the street and on the beach, the look is low-kew and cheap, like Topshop's ($10) for him or for her. Modern Brazilian music is elegantly bookened by a father-and-daugher musical duo: João Gilberto ( is the essential album) and Bebel Gilberto ( is now available for pre-order). To really make it a family affair, wife and mom recorded her fair share of seminal bossa nova tracks as well. is the classic album that opens with Astrud singing the ultimate Rio tune, "The Girl from Ipanema," the song that ages but never, ever gets old.